The global infant nutrition market is massive. Zenith estimates the market is worth over $50 billion, and it is forecasted to be the fastest growing packaged food category over the next five years, achieving growth in excess of 7% per year. It’s also a resilient market. Despite the economic downturn in 2009, when the global economy took a nosedive, the infant nutrition category grew by 7% in value, and it is showing no signs of slowing down. The category is particularly strong in China. According to the Dairy Companies Association of New Zealand, the Chinese milk formula market was worth a staggering 682.7 billion Yuan ($99 billion) in 2014, and it is expected to be even bigger in the coming years. 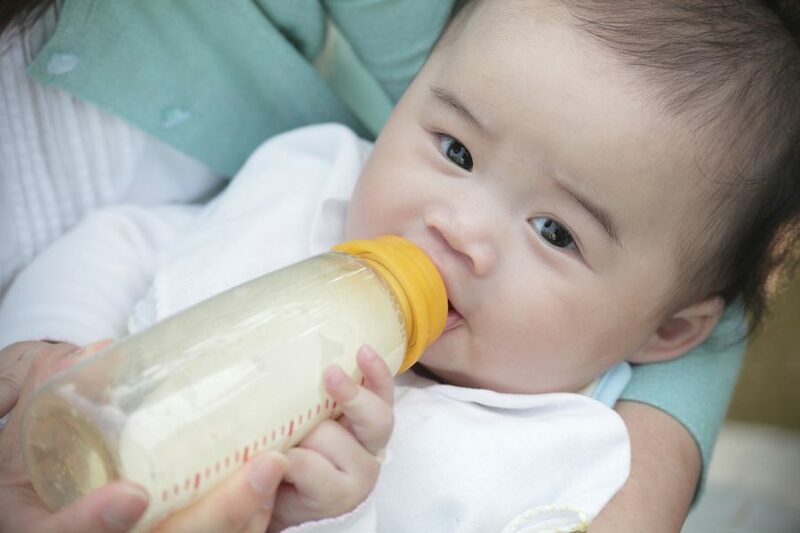 However, while infant nutrition is burgeoning in China, the market is also struggling to demonstrate brand and supply chain integrity, amidst high demand for imports of trusted brands. Last year, Chinese authorities arrested a gang suspected of manufacturing and selling more than 17,000 tins of counterfeit baby formula in several provinces across the country. Currently, infant formula manufacturers are investing a great deal of time and money on packaging solutions to combat counterfeiters, who are buying cheap baby formula and adult milk powder, then packaging it in fake tins of well-known brands. The problem: These existing expensive, often limited anti-counterfeit solutions use proprietary systems to read barcodes or special inks, meaning consumers are shut out of the authenticity process and don’t know if the infant nutrition product they’ve bought is genuine. Infant nutrition brands need a smart, digital product authenticity solution that bridges the gap. This is precisely what EVRYTHNG provides. We’ve partnered with the world’s leading packaging companies to embed digital identities at source, making it simpler for billions of infant nutrition cans to become smart, digitally-enabled products. These #BornDigital products are manufactured with a software identity connected to an intelligent cloud platform that stores and manages data throughout the entire product lifecycle, allowing brands to efficiently solve product authenticity and traceability challenges on an industrial scale. Now, infant nutrition brands can put a code on their packaging that serves as a digital trigger, encouraging consumers to scan the mark with their smartphone in order to verify that the product is indeed authentic–an action parents are likely to follow to ensure they’re protecting their children’s health and safety. This consumer-product interaction also simultaneously sends data back to the brand to let it know if a product has been copied or scanned in the wrong market, effectively “crowdsourcing” anti-counterfeit and brand production efforts. Rather than waste time and money with separate solutions for anti-counterfeit and consumer engagement, infant nutrition brands can now bridge the divide with a single smart solution that serves both purposes. By embedding digital intelligence into packaging, brands can transform their products into trackable, interactive assets that engage customers, give parents peace of mind, win trust, and deliver end-to-end traceability across the value chain.